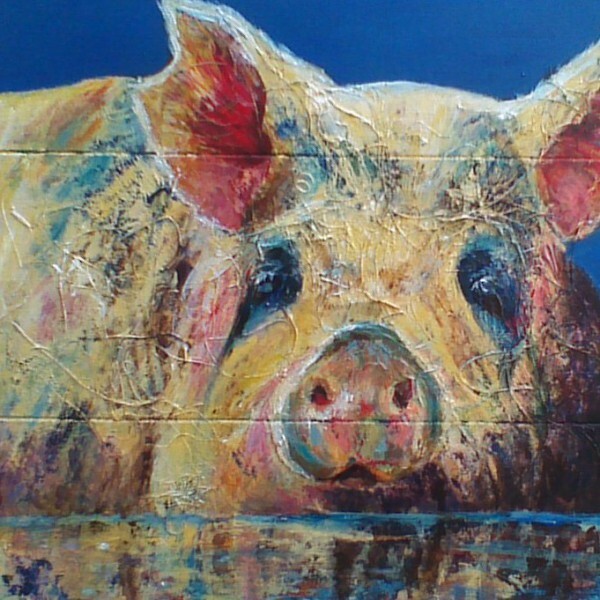 Mixed Media picture of a Muddy Pig on board width 40cm x 40cm. 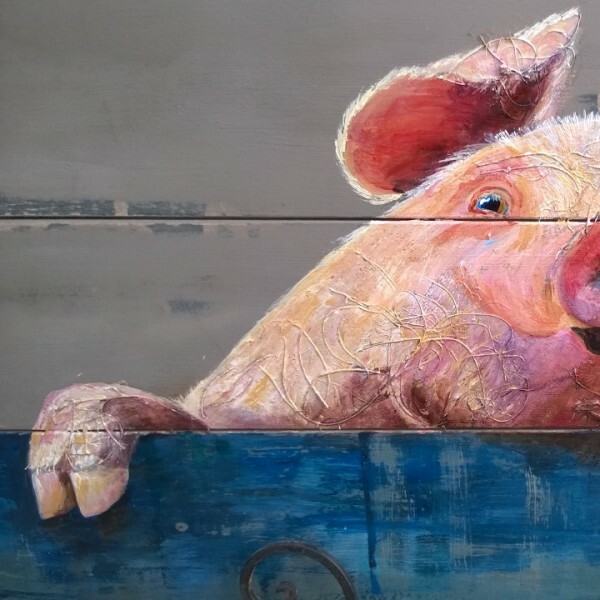 Mixed Media picture of A Pig looking over a blue fence on board width 60cm x 30cm. 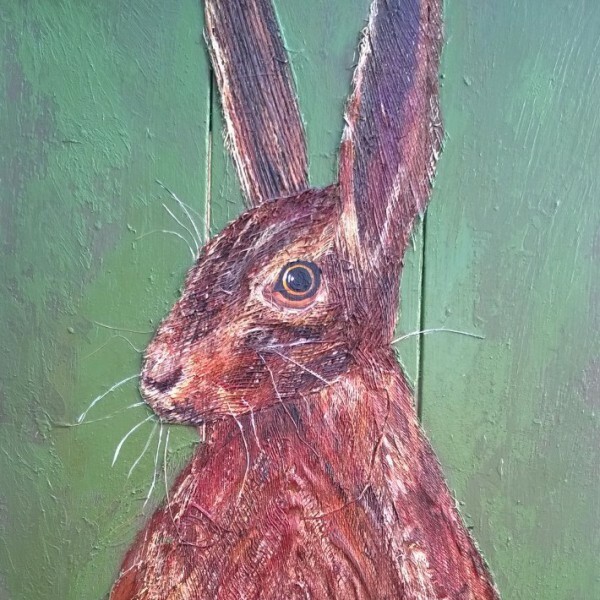 Mixed Media picture of a Hare on board width 30cm x 60cm. 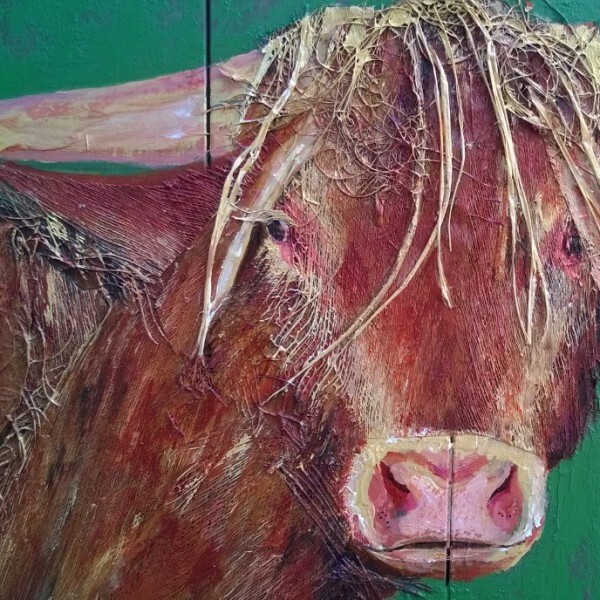 Mixed Media picture of Highland Cow on board width 40cm x 40cm. © 2000-2018 Linda Hensman. All Rights Reserved. 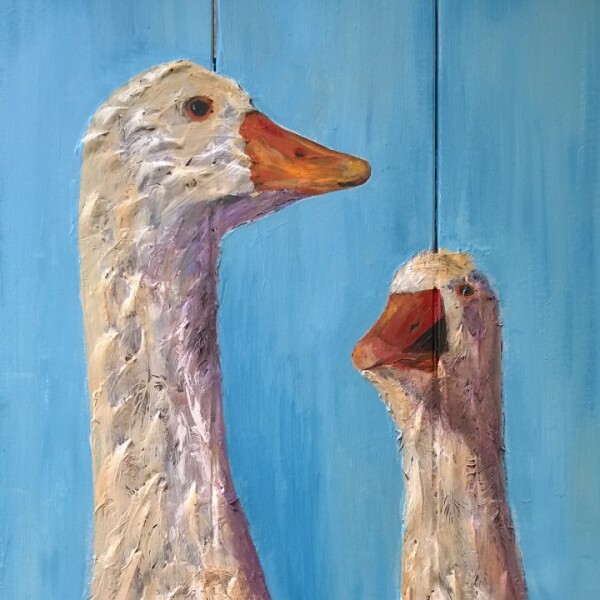 No part of these artistic works may be reproduced or transmitted in any form or by any means, or stored in any retrieval system (whether electronic or otherwise) of any nature without Linda Hensman’s prior written permission. Failure to comply with the foregoing will constitute a copyright infringement which is a civil wrong and a criminal offence.